Free Samples of NutraBio's BLUEBERRY MUFFIN 100% Whey Protein Isolate! 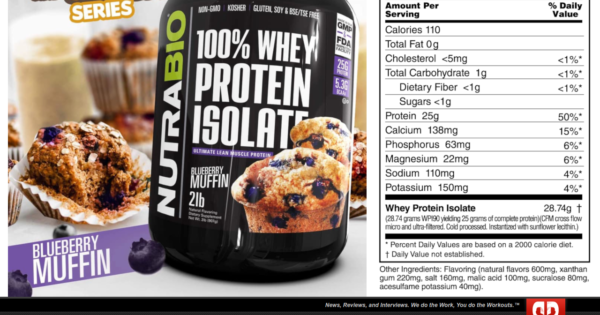 Free Samples of NutraBio’s BLUEBERRY MUFFIN 100% Whey Protein Isolate! It's back! Get a FREE Sample of NutraBio's new 100% Whey Protein Isolate BLUEBERRY MUFFIN Breakfast Series Flavor! 1g carbs, 0g fat, and delicious! I can’t decide which is my favorite flavor, love them all. Check out BioCrew…I have you down already! Maybe I missed it ? They aren’t for sale yet. But I have a promo going now for them. Alright. Lemme know when they are live. I will buy them and get a YT review up on here and for the company. I signed up. I hope I get it. Last time I signed up for a sample, I never got it…LOL I don’t recall what brand it was at this time. Same here. Mine was from Redcon1 that was never sent but @NutraBio is much more reliable, based on my previous experiences. Note: This one is going to be delayed, turns out they didn’t have production completed, so we’ve switched over to the Cinnamon Sugar Donut Sampler. Those who requested this earlier this week will eventually get it, and we’ll turn it back on for everyone else in a couple of weeks. So I made protein balls with the Cinnamon Sugar donut this past weekend! Yeah super super good. My wife commented that she could taste the cinnamon sugar donut flavor and loved it! Delicious!! Still haven’t cracked the Blueberry Muffin yet, but finishing up a tub of protein right now and may just run these 3 next!! And love that buddy, its such a top notch flavor,. Really glad to hear you all are enjoying it. Keep it up man and keep me updated, love hearing how you all are enjoying the new flavors!!! This one is back ALIVE for the week! So I made protein balls with the Cinnamon Sugar donut this past weekend! 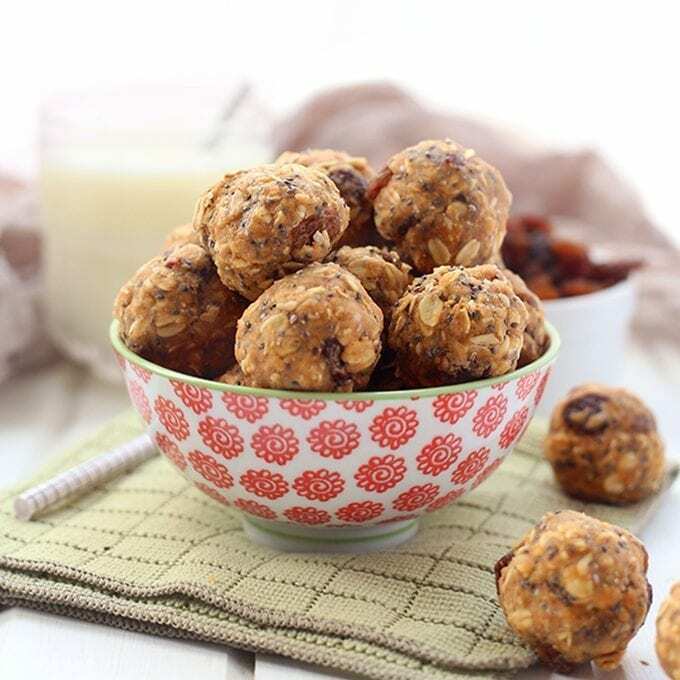 This simple and healthy no-bake oatmeal protein energy balls recipe is perfect for easy snacking on-the-go! With rolled oats, protein powder, peanut butter and a touch of honey, these energy balls will keep you satisfied for hours! I used too much milk at the end, so ease into it. Messy to make, but delicious! The pancakes one seemed unnecessary. Like it’s not bad( disgusting ) but it’s like someone gave a kid the choice and he just made one of the most random choices in flavors. I could see making it and using it for overnight oats, but I don’t think I’d legit drink that regularly. I found it best when mixed in greek yogurt, not as a shake.